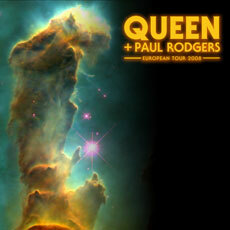 There is NO tour plans in 2009 with QUEEN + Paul Rodgers. The time will show us, if there will be more concerts etc. of this 'friend' band. Brian & Rodger will spend more time to promote the musical "We Will Rock You", which will be on tour in UK this spring & Summer. Queen production will also in spring start to re-release vinyl catalogue in UK. US Hollywood records will also re-release the vinyl catalogue in US. 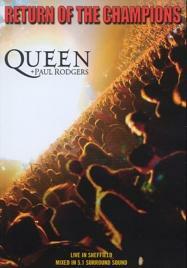 On Sept 12th, Queen + Paul Rodgers did a free concert in Ukraine. The hole show was professional filmed. On the evening of Sept. 3rd. the band did a promo gig for the press. The band performed a short set for the collective as part of their full production rehearsal schedule prior to the kicking off the new tour next week in Kharkov. “They started quietly huddled in a group at the centre of the stage playing together – this included snippets of ‘Hammer To Fall’ and ‘I Want It All’. Brian then said ‘hello’ to everyone and said they would “take a trip down memory lane”. QUEEN + Paul Rodger to tour Europe this autumn. Go here for full tour list etc. South America and North America in 2009. The tour starts on Sept. 12 with a free concert at Kharkov’s historic Freedom Square Freedom Square in Ukraine. The show will be broadcasted live on Ukraine television. You can get some info here. Queen + Paul Rodgers will head a massive outdoor concert in one of Europe’s biggest public squares ahead of the start of their forthcoming European tour to support Ukraine’s Anti-Aids campaign. Promoting the message “Don’t let AIDS to ruin your life!”, Queen will perform a free concert in Kharkov’s historic Freedom Square on September 12 . The concert is expected to attract more than 100,000 to Europe’s second-largest city-centre square. The concert in Kharkov’s Freedom Square on September 12th will see the band work with acclaimed director David Mallet. He will once again be filming Q+PR on Hi Definition ‘LIVE’ for the Ukrainian NOVIY Channel.The show starts at 19.30 local time. 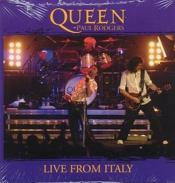 As the band did on the European tour in 2005, live downloads will be available on Queen + Paul Rodgers home page. This will be professional live recordings. Artworks and a label blank cdr will also be offered. Their new studio album will be released in Europe on Sept. 15th. With highly anticipated return to Latin America expected to follow. With a new album in the pipeline – the first new studio album to carry the Queen name since the Freddie Mercury sessions – Queen is heading back on the road for a four-month tour, once again in the company of musician/singer/songwriter Paul Rodgers who joined the band for the highly successful 2005/2006 world tour, the European leg of which ended with the band’s spectacular London Hyde Park open air concert before going on to play the US and Japan. In all, the band’s tour was attended by more than a million people. Together Brian May, Roger Taylor and Paul Rodgers have recorded their first album’s worth of material, jointly written and produced. With the title yet to be disclosed, the album is being readied for release September 1, two weeks ahead of the start of the tour. The Queen + Paul Rodgers 28-date arena tour will take in 14 countries in just seven weeks, and take the band to Northern Eurasia, Central and Southern Europe, and the UK, and is expected to wind up at the end of the year with the band’s highly anticipated return to South America, the setting of some of its most historic tours in the early 80’s. Queen’s historic Latin America dates set new world records for the numbers of the audiences it attracted. At the 1985 Rock in Rio concert the band played to an unheard of audience of 300,000 and was watched on television by nearly 200 million people throughout the South American continent. The 2008 tour kicks off mid-September in Russia with two dates at Moscow’s SCO Olympic Arena, moves on into Poland for a massive free concert at the historic Gdansk Shipyard, and then follows a path through Germany, Belgium, France, Italy, Switzerland and the Netherlands before arriving in the UK early October for 6 dates including London’s 02 Arena on October 13. The UK dates see the band additionally play Nottingham, Glasgow, Cardiff and Birmingham with a final UK date at Liverpool Arena on October 18 before continuing on to Spain, Hungary, Serbia, Czech Republic and Austria for seven further dates. Tracks on the new Queen + Paul Rodgers album will include ‘Say It’s Not True’, previously released at the end of last year by Queen + Paul Rodgers as a special World Aids Day download for Nelson Mandela’s 46664 HIV AIDS charity , plus a ‘first’ for a Queen album – a cover version. The remaining tracks are all newly written by May, Taylor and Rodgers during the late 2007/early 2008 recording sessions. One of these tracks, C-lebrity, will receive a sneak preview when the band make a by-demand return to the UK’s ITV Al Murray’s Happy Hour for the final show on April 4. Queen’s last studio album release was “Made In Heaven” released in November 1995 containing the last recordings with Freddie. The album became the band’s biggest selling studio album, with world sales in excess of 20 million. Queen’s “Greatest Hits 1” album has achieved the distinction of being the UK’s biggest selling album of all time, having sold a staggering 5,407,587 copies in Britain alone (source: VH1/The Official UK Charts Company. November 2006). Paul Rodgers’ voice is one of rock’s platinum assets and as a multi-instrumentalist and songwriter as front man of Free and Bad Company and as a solo artist he has written, produced and recorded some of radios biggest hits. Between them, Queen and Paul Rodgers have released more than 50 albums during their long careers and sold in excess of a staggering 300 million records. UK ticket prices: £49.40, £39.50 (check venues). A Phil McIntyre Entertainment Tour. 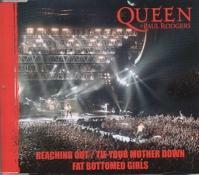 It the last Queen Fan Club http://www.queenworld.com/ magazine, it's mention this studio work with Paul Rodgers. Also mention that there might be a tour in 2008. On this link you can find a short interview with Paul Rodgers talking a bit about the work with Queen. The interview was done before a concert in Skånevik, Norway this July. They will go back in studio in October, to work more on the forthcoming album. Copy the link into the browser. 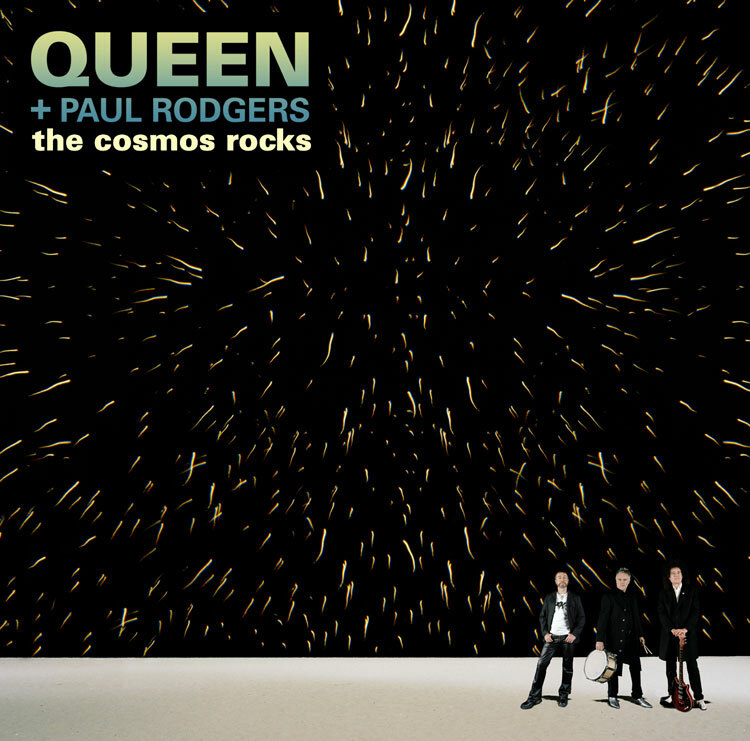 Do to the working on a 'new' QUEEN + Paul Rodgers album (their first studio album), there might be a tour in 2008. There is planes to get this 'new' album released later this year. But, it might not be before spring 2008. Queen (now Roger & Brian), has always delayed previously albums with some months, so don't be surprised for delays. Those who buy the special (more exclusive, limited 'platinum') ticket, got a special live 2CD from European dates. It's might made out from the download at www.queenpluspaulrodgers.com (queenonline.com), but I'm not 100% sure of this. If you have this 2CD for sale, please send me a mail. even you don't want to sell. I just need some information about it. (Track list, number etc). I will find out more info later. Queen + Paul Rodgers will start on a USA tour on March 3rd, at Fri 3 March – Miami, Fl, American Airlines Arena. Queen + Paul Rodgers did 6 shows in Japan between Oct. 26th. to Nov. 3rd.2005. The gig at 27 October - Japan, Tokyo, Saitama Super Arena, was professional filmed, and broadcasted live on Japanese television. This concert is now out in JAPAN ONLY, titled: SUPER LIVE IN JAPAN 2005. I haven't got it yet. I'll put cover front photo when I got it. Disc 2. 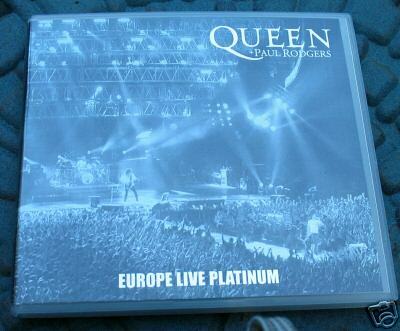 Bonus disc including unseen footage from backstage of an European gig. 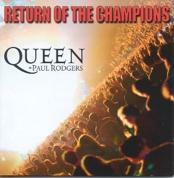 Queen + Paul Rogers has release officially a DVD & 2cd + 3LP box set, from their concert at Sheffield Arena on May 9th. 2005. Bonus material on the DVD is the track 'Imagine', from their concert in Hyde Park, London on July 15th. That's the only bonus. Live single are released from the forthcoming album & DVD release from the Sheffield concert. Promo single out with a different cover. Same tracks, it's just have a different cover. 'Fat Bottomed Girls' (Florence, April 7th.). These 2 tracks are NOT available on other records or downloads. ONLY on this promo single. This US promo single has the same cover looks as UK promo, but as mention, different tracks. 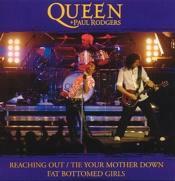 Most of the concert has been professional recorded, and there's download tracks available on www.queenonline.com for cheap price.